Rate This Thread - Snake Handling beliefs. Here are the verses from The Bible that snake handling churches use to justify their practices. But there is a deeper message than what these verses tell. Here are the new testament versus that I have heard preached in a snake handling service. And yes, I was present, if for a very short time. I've never seen my mother run so fast in my life as she did that night!! I'm not here to condone or deny this practice, but I will say this......if anybody ever sees me handling a snake in the name of God, you can be CERTAIN that I got a direct message from God to do it!! This passage is also used for those who drink poison. I have never witnessed this personally, but I have heard of it happening a long time ago. These snakes ^^^^ are used by the majority of snake handling churches. 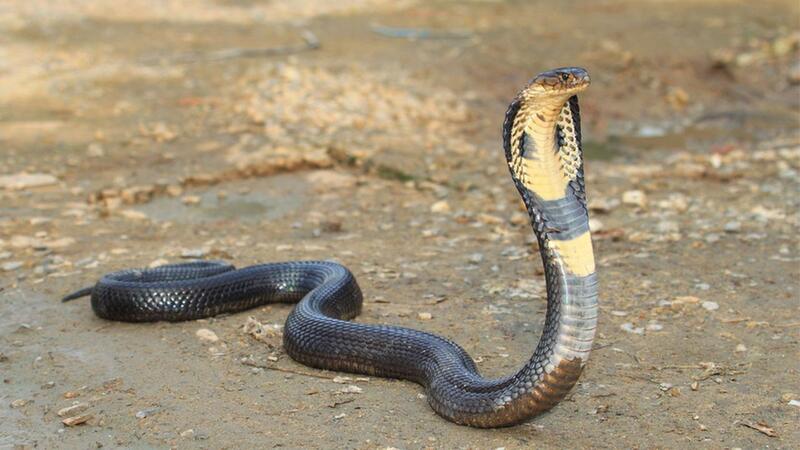 It's no coincidence these are the venomous snakes found in the Eastern part of the country. If they truly believe that handling snakes is a way to worship God, they only need to handle King Cobras, Black Mambas and Inland Tiapans. But here is what the Bible says about tempting God. 16: Ye shall not tempt the LORD your God, as ye tempted Him in Massah. The Bible can be read from cover to cover..... and you will learn from it each time you read it. However..... if you only take one or two verses and 'twist' & 'conform' it out of context to justify what you are doing, then that is wrong. The Bible is hard to read, but that is the beauty of it. God speaks to people when they read it. That is why thousands and thousands of preachers can use the same verses and have different messages each time. But it's up to you what you do with how you are spoken to. It's hard to debate that somebody that handles snakes and they say 'God told me to' as their answer. I'm not saying that He didn't, but nowhere does the Bible say that handling snakes should be used to Praise Him or Worship Him. As a matter of fact, a serpent is spoken about as the devil or evil in most Bible verses. I'm sorry but snake handling is not from God........serpent in the bible simply means the devil not an actual snake. Mark chapter 16 is the events AFTER The Resurrection....... meaning, Jesus is telling His disciples how to preach the Gospel (Death, Burial & Resurrection) & that if you are preaching the Gospel, that He will take care of you. The phrase 'take up serpents' does not mean that you have to do so. If you read the verses before and after.... and the verses in the first chapter of Acts, any reasonable person will understand that 'They shall take up serpents' is NOT meant to be used as a form of praise or worship. Jesus knew that His people would face difficult times when it came to His ministry. Snakes and snake venom were used as a type of assassination tool back in Biblical times. Verse 18 says 'if they drink any deadly thing, it shall not hurt them'.... NO WHERE does that say poison. The Book of Mark only has 16 chapters and chapter 16 only has 20 verses. So this ends the book of Mark. Matthew, Mark, Luke & John are the four gospels, but the book of Acts is the next book in The New Testament. 6: Then they therefore were come together, they asked of Him, saying, Lord, wilt thou at this time restore again the kingdom to Israel? Calm down!! I said I wasn't upholding this practice, but those are just the verses I have heard over the years that were used when others talked about the practice. That was just a general statement to anybody wondering about snake handling. Forget it Pulp! I'm putting Demarcus in a snake handling church!! Put it on Facebook..... I gotta see that!!!! A team of Clydesdes couldn't pull me in one. I am fine with the extinction of all venomous snakes. The only good snake is a dead snake.